Rents are climbing at an unseasonal rate this winter and that’s being driven by regional and suburban growth, the latest Trade Me Property data shows. Trade Me Property’s Rental Price Index has the national median weekly rent hitting a new record of $480 in June. That’s a 6.7% increase on the median weekly rent at the same time last year. Head of Trade Me Property Nigel Jeffries says that is largely due to strong growth in the regions, with most seeing solid double-digit growth in June and Nelson/Tasman the only area where rents dipped. The leaders of the regional pack were the Bay of Plenty and Manawatu/Whanganui which both reached record highs, up 10.5% to $475 and up 10% to $330 respectively. “It’s rare to see such significant increases in the winter months when typically the rental market slows down,” he says. 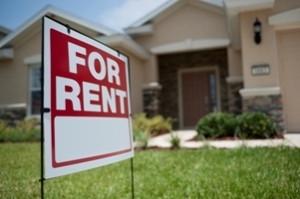 Median weekly rents remain at record highs in Auckland and Wellington but, in both cities, it is now the traditionally quieter suburbs not the usually popular inner city areas which are seeing growth. The Auckland region’s median weekly rent is sitting at an all-time high of $550, which is a 3.8% year-on-year increase. But the data shows there is growing demand for rentals outside Auckland City with the number of enquiries climbing in Manukau City (up 39%), Papakura (up 16%) and Waitakere City (up 12%), as compared to June last year. In contrast, enquiries fell 19% in Auckland City over the same period. Jeffries says it’s a well-established trend for buyers to look further out to get onto the property ladder and now it seems tenants are doing the same. “It’s not unexpected, as tenants must now weigh up the convenience of living in the city with the record-breaking rents we’ve been seeing. At some point convenience loses out to cost savings. “Just like when buying a property, you get more bang for your rental buck when you move to quieter places, out from the centre of the city. The same trend was evident in Wellington. The median weekly rent in the Wellington region were up 6.7% on last year, but it remained at a record $480 per week for a third consecutive month. Jeffries says that like their Auckland counterparts, Wellington tenants seem to be opting for a longer commute too with the Hutt Valley recording a big surge in interest and rental prices. The median weekly rent in Upper Hutt up 18.4% on last year to $450 per week, while Lower Hutt was up 8.8% to $462.50 and Porirua climbed 11.2% to $522.50. In contrast, Wellington City had a much smaller increase of 3.1% to $500 per week. “Tenants were more interested in rentals in Lower Hutt than any other area in June, with the number of enquiries in the first two days onsite climbing a significant 60% in Lower Hutt. Meanwhile, townhouses in Wellington and small houses nationwide are enjoying growth in popularity with median weekly rents on the rise. But the Auckland apartment sector saw median weekly rents dropping off the pace a bit in June, as compared to May.